With us you get finest Corfiot specialties and Greek delicacies our restaurant impresses with its excellent food and the proverbial Greek hospitality. Dishes are mostly made from our own fruits and vegetables, you will taste the difference! 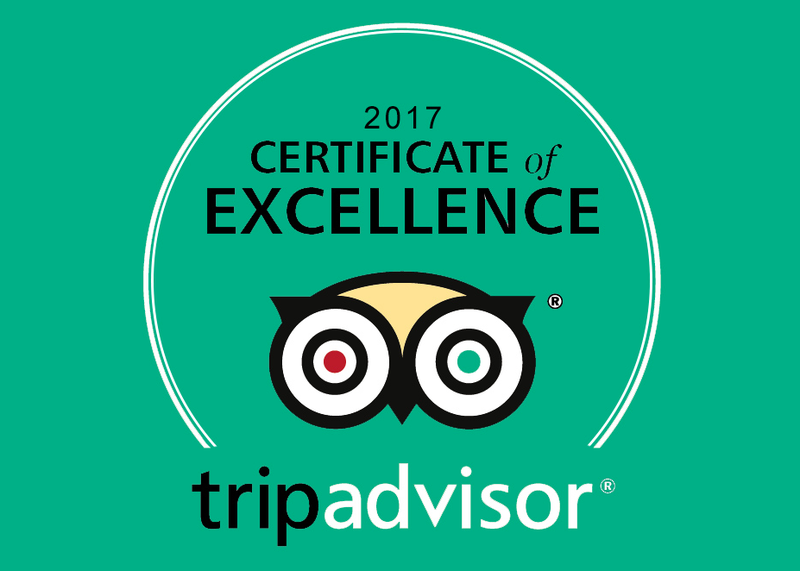 The restaurant is located between Sidari and Roda in the town of Karousades, in an olive grove about 1km from the main road. We are spared from large tourism flows and very idyllic location. Free parking facilities and Free Internet Wifi are available to you at any time.We like language skills in English and German. The “Yialos Beach” is released to the left and right of the imposing cliffs and is only 150m away from the Taverna. So it’s easy to stock up on drinks, snacks and ice cream and enjoy the time. Try our specialties on a mild summer night and let yourself be pampered with culinary delicacies that you will never forget! 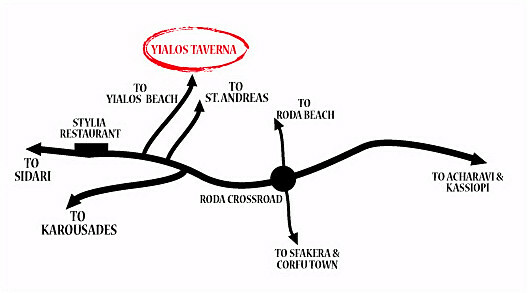 You will find our restaurant from the direction of Roda about 2 km after “Astrakeri Beach” in front of the restaurant “STYLIA”, with the shield “YIALOS BEACH” on the right side of the street, then about 1 km downhill on the left side. 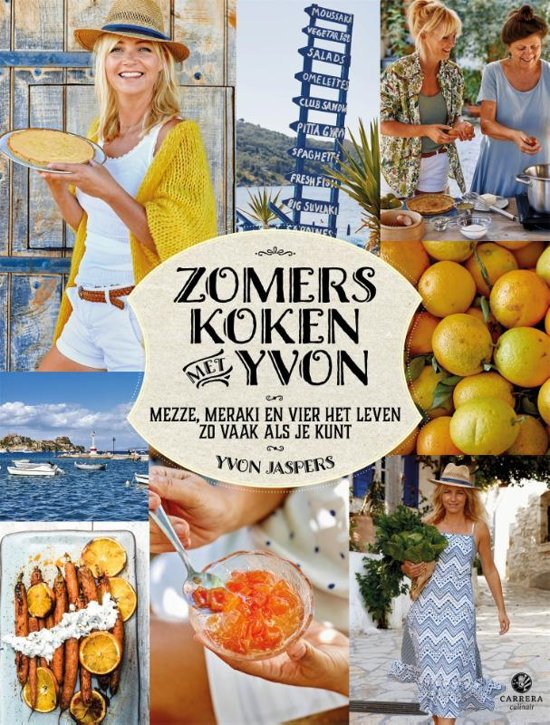 Dutch TV star cooks dishes from – Taverna Yialos!